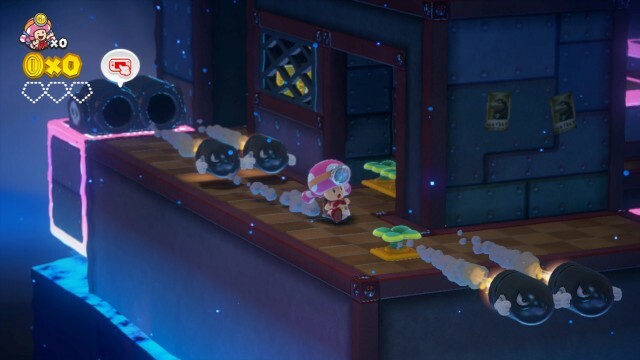 During a season packed with major game releases, Captain Toad: Treasure Tracker is a title that is almost sure to fly under most people’s radar. Unfortunately, those who pass on Toad’s first major outing are missing out on one hell of a treasure hunt. Check out my full review in the video below. Captain Toad: Treasure Tracker takes the gameplay established in the Captain Toad levels from Super Mario 3D World and beefs it up in every way. For those unfamiliar with Captain Toad, the player guides Toad through cube-like mazes to obtain a star placed at the end. Treasure Tracker adds more treasure to collect along the way. Toad and Toadette are basically cute cartoony versions of Indiana Jones. They endure perilous obstacles in search of a big payday. 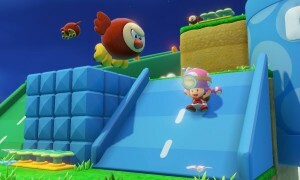 During one of their adventures, Toadette is captured by a giant bird named Wingo. What follows is a rescue mission with plenty of time to stop for treasure along the way. Donât expect much narrative wise, but there is an interesting twist after the final credits. Treasure Tracker is a puzzle-platformer with most of the emphasis on puzzle. Itâs extremely simple in terms of mechanics. Toad and Toadette canât even jump (because their packs are full of tools and treasure which weigh them down). They can only walk, run and pick up and throw objects. It’s largely up to the player to use the gamepad to manipulate the stage to get them to their destination. The game spans over three episodes with a total of over 70 small digestible levels. Difficulty ramps up over the course of the game, but never feels frustrating. And trying to collect all of the treasure, even on the early levels, may leave players scratching their heads. All of the levels vary in terms of looks and strategy. Providing a unique experience within each level is truly a testament to the skill of the level designers. My major concern when this game was announced is that it would get boring and repetitive quickly. Quite the opposite is true, I encountered something new in almost every level. 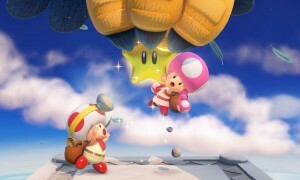 Like Super Mario 3D World, Captain Toad: Treasure Tracker falls short in terms of boss fights. These encounters keep the puzzle strategy intact while fighting large foes, but the same fights get recycled throughout the game while simply boosting the difficulty. These were the only times the game felt repetitive to me, but there aren’t many of these battles. Players with a completionist mentality are going to get the most out of this game as they try to collect everything. And each level has a unique victory condition like âcomplete the level without killing any enemiesâ or âtake no damageâ that needs to be done once to achieve full completion on a level. These conditions are only listed after you beat a level, giving the game a lot of replay value. Add all the bonus levels that unlock as you progress through the game, (including the Super Mario 3D World Captain Toad levels if you have save data from that game on your Wii U) and you can pour plenty of hours into this game. Aesthetically, this game is amazing, as it should be, itâs based off Super Mario 3D World. Layered with bright colors and filled with hidden areas and secrets, each level feels like something you want to explore. Music from Super Mario 3D Worldâs stellar soundtrack makes a return, being accompanied by some new tracks. In terms of visuals and sound, Nintendo keeps its flawless track record on Wii U alive. 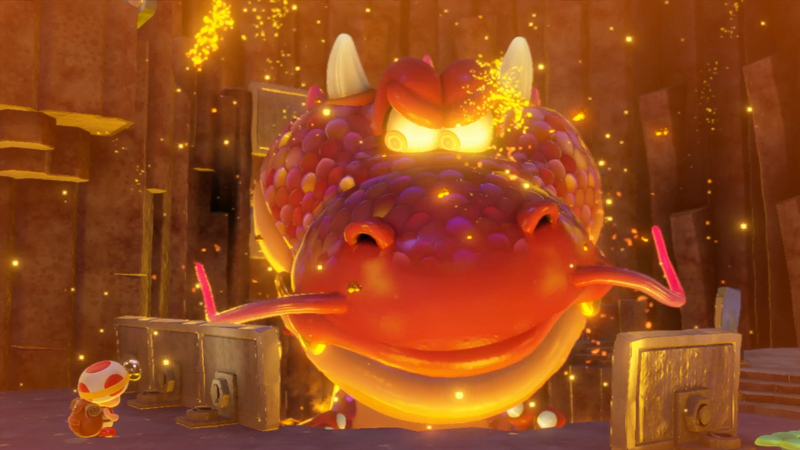 Captain Toad: Treasure Tracker shines because it can be enjoyed by everyone regardless of gaming skill. The simple mechanics and slow pace of the game make it perfect for those new to console gaming. If you have someone in your life who maybe plays Angry Birds, Flappy Bird or whatever other bird is the word these days, but is hesitant to get into console gaming, Captain Toad: Treasure Tracker is a great link between those worlds. Are you currently playing Captain Toad: Treasure Tracker? What do you think of the game? Let us know in the comments.